Beware! 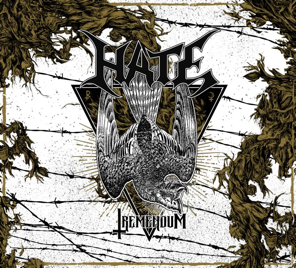 The sheer amount of fierceness on HATE's upcoming album is beyond anything these Polish Extreme Black / Death metallers have ever done before. Fast and well-defined songs set a new standard in the band's songwriting, while the structure of the songs let you submerge in them as soon as you press play. See it for yourself with the lyric video premiere for the first track off Tremendum. 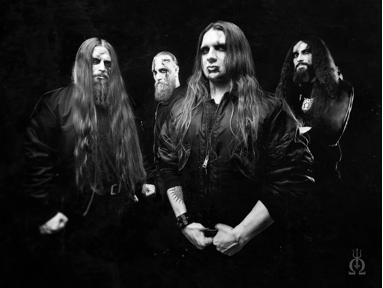 Watch the"Asuric Being" lyric video HERE, courtesy of Decibel Magazine. HATE bandleader ATF Sinner on the story behind "Asuric Being:"
"The lyric for 'Asuric Being' is inspired by Rudolf Steiner's philosophical concept of Asuras -'Spirit of Darkness' or spirit of Self-hood (egoism). It has a lot of archaic references and a history that long pre-dates Christianity. A truly great concept that has become a big source of inspiration to me. As for the music, you may notice how much we have refined the formula since 'Crusade.' 'Tremendum' is a profound, organic and adventurous album. We are really proud of it."